Iranian doctors Arash and Kamiar Alaei, imprisoned for their internationally renowned work on HIV/AIDs, were at a low point when they heard of Amnesty International’s campaign to free them. 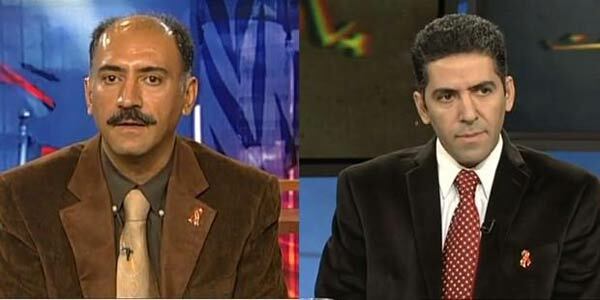 It was the autumn of 2008 and, after four months of interrogation or solitary confinement in Tehran’s Evin prison, they feared they had been forgotten. The brothers - now free and recently reunited - said the news of the campaign by Amnesty International and others gave them hope. The brothers were reunited in the United States recently after Arash - sentenced to six years imprisonment - was freed from jail following a pardon issued to mark the religious festival of Eid al-Fitr at the end of August. His brother Kamiar was released in 2010 after serving two and a half years of a three year sentence. Both had been convicted of “co-operating with an enemy government”. Neither had been politically active. The prosecution is said to have cited the brothers' participation at international AIDS conferences as part of their scheme to provoke a so-called "velvet revolution" in Iran. Amnesty International considered them prisoners of conscience, jailed because of their ground breaking work with US institutions in the field of HIV/ AIDS treatment and prevention. In media interviews since Arash’s release, the two brothers revealed how they had continued their health education work while in prison. They taught fellow prisoners about health and hygiene, encouraged them to exercise and worked to improve conditions in prison kitchens. The Alaei brothers now plan to continue that work outside Iran. They’re hoping to set up an interdisciplinary centre for health and human rights at the State University of New York at Albany, where they both now work. They will also seek to campaign on behalf of the many political prisoners who remain in prison in Iran. Many prisoners of conscience - such as lawyer Nasrin Sotoudeh, Kurdish human rights defender Mohammad Sadiq Kaboudvand, journalist Ahmad Zeidabadi and student activist Behareh Hedayat, are languishing in harsh conditions in overcrowded Iranian jails. Amnesty International is calling for the immediate and unconditional release of all prisoners of conscience in Iran.